Haleiwa is usually crowded on weekends with folks stopping by to get shave ice, eat lunch or go shopping. And on Saturday, it was especially packed, but not because of the typical reasons. People came out and held a protest. They came from different parts of the state, different walks of life, all with the same message. 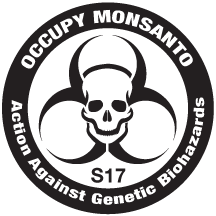 They’re against GMOs which stands for genetically modified organisms. A guy even wrote a rap about it. “We all have a right to know whats in our food and what we are eating. And the truth is that we don’t,” said Evan Shafram with Good Vibe Los Angeles. An estimated 300 people marched through part of Haleiwa even taking up a lane of traffic. 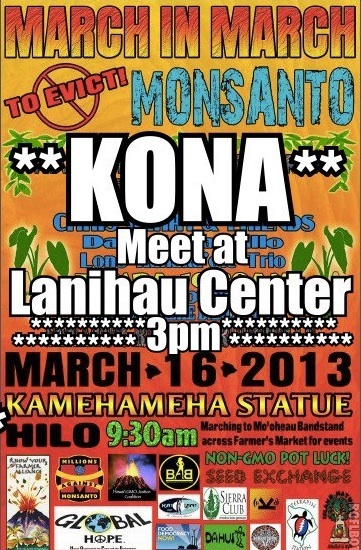 They say in Haleiwa and Waialua there are thousands of acres of GMO corn and canola being grown. “The main concerns about GMO’s is that it is untested and an unknown technology,” sated Hector Valenzuela, UH Manoa professor and crop specialist. 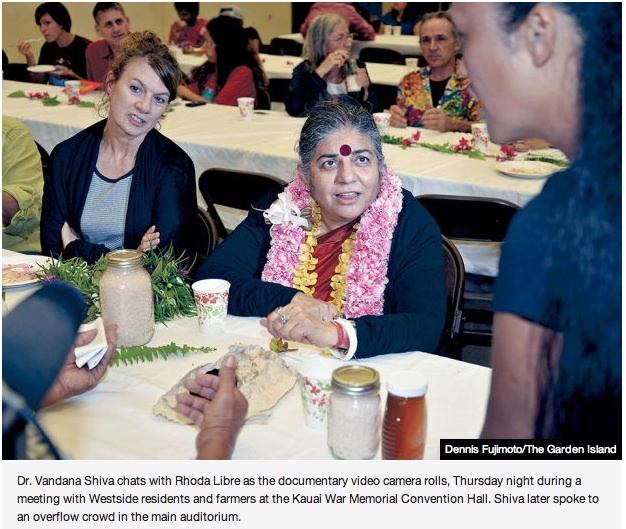 The Hawaii Crop Improvement Association responded to the protest and allegations. “We support genetically engineered crops. They’ve been around for 20 years, we’ve had 3 trillion servings consumed without any health or safety incident,” stated Alicia Maluafiti, Executive Director Hawaii Crop Improvement Association. “There is concerns about GMO’s and also about the use of chemicals needed to grow those crops,” said Valenzuela. “Farmers are able to use fewer pesticides by growing biotech crops. So it is completely misleading,” said Maluafiti. 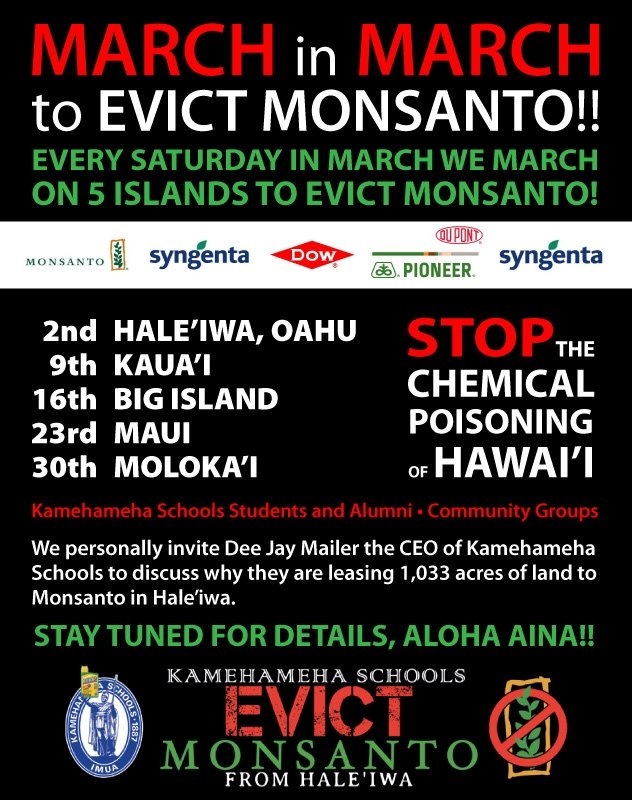 Folks will be taking their anti-GMO protest to the neighbor islands this month. 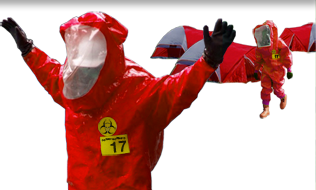 Next week Saturday they’ll march on Kauai. The following Saturday in Hilo on the Big Island. 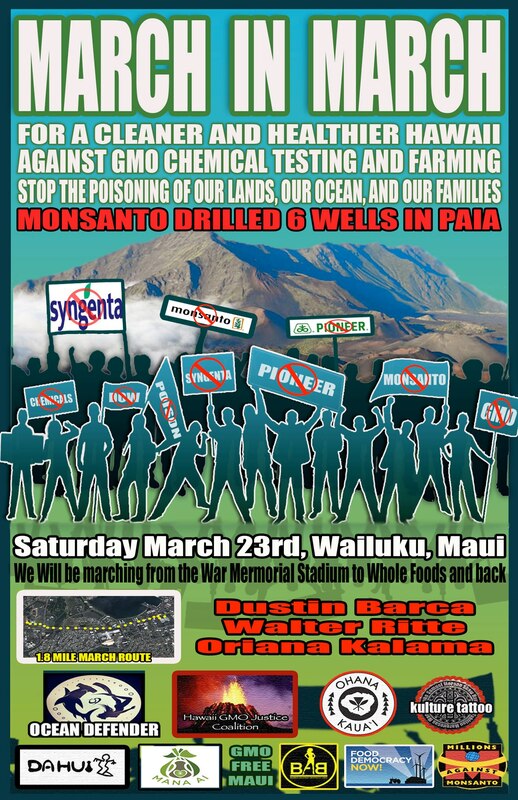 March 23rd on Maui and the final Saturday of the month on Molokai. 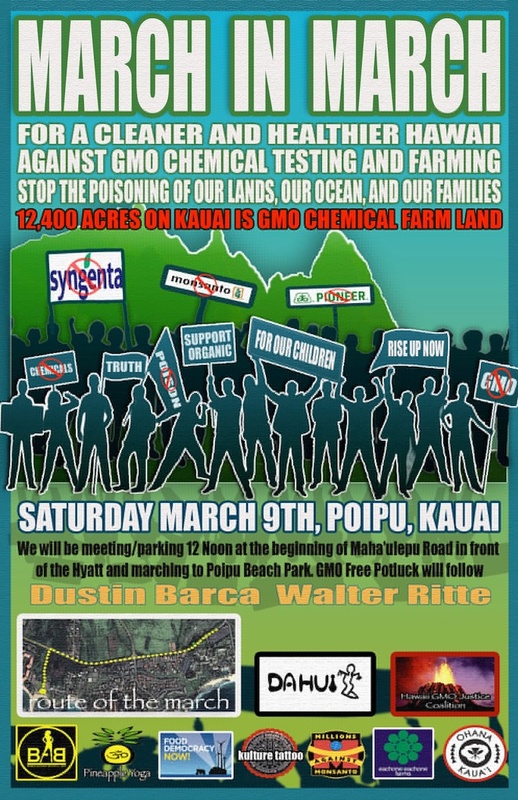 The protest was organized by a number of groups and people including the Hawaii GMO Justice Coalition, Da Hui, Dustin Barca, Walter Ritte and Makua Rothman. An Idaho dairyman who bought the largest dairy in the state is growing genetically modified corn on state leasehold land in Hamakua, and a number of residents are upset about it, saying it violates the Hamakua Agriculture Plan. County Council Chairman Dominic Yagong said Saturday that he has spoken to Big Island Dairy LLC owner Steve Whitesides, and that Whitesides “has been upfront” about growing GMO corn as feedstock on about 700 acres of land near Ookala. “He said that if they were not to grow GMO corn but instead went to the feed store to buy feed that the corn in that bag would be GMO corn,” Yagong said Saturday morning while talking to about 20 protesters who lined both sides of Highway 19 by the cornfield at the 30-mile marker. Yagong, who represents Hamakua, said he was also told by Whitesides that GMO corn was already being grown on the site by the previous owner when he acquired the lease. Whitesides bought the former Island Dairy Inc. from Bahman Sadeghi for $13 million late last year. The land is part of 2,081 acres Island Dairy signed a 35-year-lease on in 1998 and which Whitesides’ company assumed in November. Reports at the time of the purchase said Island Dairy had a herd of 900 milking cows. 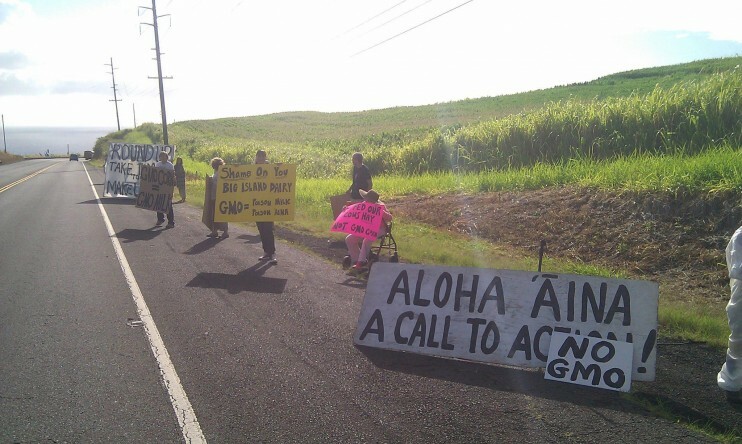 The protest was organized by GMO Free Hawaii as part of the “Occupy Monsanto Global Week of Action,” said farmer and anti-GMO activist Eden Peart, who called the cornfield “a genetic crime scene” and said that GMO crops could post health risks. 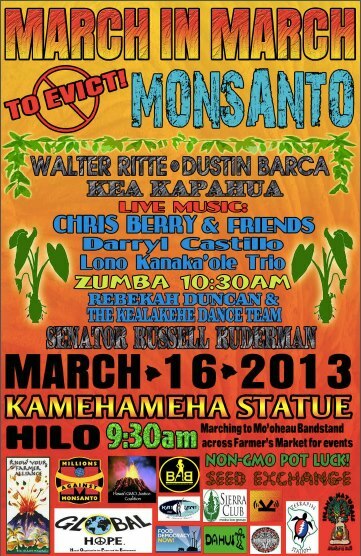 State Department of Agriculture Chairman Russell Kokubun, whose department administers the lease on the Ookala land, confirmed Sunday that the corn being grown there is a genetically modified strain for cattle feed. “Yes, we need to be careful about what’s growing here and all, but I think we also need to be open minded and basing our decisions on science, in terms of what’s good for the land as well as the livestock,” Kokubun said. He that the state “does not get into specifics” about crops grown on state-leased ag lands. The first 6 minutes were filmed at the Say No to Monsanto Dance Concert with Marty Dread at the Honoka’a People’s Theater on the Big Island of Hawaii and the second half of the video is a thought-provoking interview with Marty Dread.